Wine should be something to enjoy and savor, but some people can make you feel nervous to even choose a bottle of house red. If you’re feeling overawed by self-declared “wine experts” who chatter on about “bouquet” and tell you which wine not to drink with your chicken dinner, wine clubs could be your salvation. Wine clubs are a great way for novice wine drinkers to get to know different types and flavors of wines. If you already enjoy a good bottle of wine, but you aren’t quite sure what you prefer, or you want to broaden your tastes to different grape varieties and winemaking methods, wine clubs are still a good choice. Wine clubs give you the opportunity to taste wines you might never have picked off the shelf, and to try top-rated vineyards and winemakers who you may not otherwise have heard of. At the very least, once you’ve tried a range of different wines through a wine club, you’ll have the confidence to order from the wine menu when you’re out with friends. That’s why we’ve brought you this list of the best wine clubs for beginners. Why Firstleaf Wine Club is great for beginners: Firstleaf works with a certified Master of Wine (there are only 380 of those in the world! ), so you can rely on their choices. Firstleaf chooses wines from around the world so that you can taste a real cross-section of the varieties available and advance your wine knowledge and taste preferences. There’s even a money-back guarantee if you don’t love the wines. Firstleaf gets you started with a simple questionnaire. Don’t worry, it doesn’t get more complicated than asking if you prefer reds or whites, American or imported. You can just select ‘mix’ each time if you don’t have a preference. Then you’ll start receiving a box of wine on a regular basis. The number and frequency of the deliveries are totally up to you. You rate each bottle on the Firstleaf website so that they keep sending more of the type of wine you like. Tasting notes: "Great body and crisp acidity, with flavors of green melon, guava, and ripe peach." Why Nocking Point Wines is great for beginners: It doesn’t take itself too seriously, and it does have a lot of enthusiasm for enjoying what you drink. Nocking Point is a winery in Washington State that runs a quarterly and monthly wine club, as well as selling its own wines. If you join the quarterly club, you’ll get 3 bottles of craft wine, 4 times a year. Monthly club members get 2 bottles of wine each month. You won’t have to make difficult choices about your preferences because the wines are chosen for you by celebrity winemakers and tastemakers. All you need to do is drink and enjoy. It’s a great opportunity to discover new wines and winemakers, especially since Nocking Point shares the backstory to every bottle they send. All of Nocking Point's wines are made in the US. Tasting notes: “Dry, sparkling wine with notes of guava, pink grapefruit, and rose petal." Why Gold Medal Wine Club is great for beginners: All the wines are medal winners made at boutique Californian wineries. The Gold Medal Wine Club is 1 of 6 wine clubs offered by Gold Medal Wine Club. It’s the best of the 6 for beginners because the price is accessible and the wines are better suited to beginners. The Platinum Wine Club, Diamond Wine Club, Pinot Noir Wine Club, and Garagiste Wine Club all offer different types of premium, artisan, or collectible wines. However, the International Wine Club is another option for beginner wine drinkers who’d like to try wines from around the world. With the Gold Wine Club, you choose to receive 2 or 4 bottles, pick whites, reds, or a mix, and select the frequency of your delivery—either monthly, every other month, or quarterly. Each delivery brings you hard to find wines along with a glossy brochure explaining the history of that month’s bottles. Tasting notes: “Fresh and bright, with juicy flavors of strawberry, raspberry, Riverbench smoke, and clove." Why HelloFresh Wine Club is great for beginners: Simple icons let you know which wines to pair with which HelloFresh meals. HelloFresh is better known for its meal plans, but it also offers a very accessible wine plan with its Hello Fresh Wine Club. All you need to do is choose a red wine plan, white wine plan, or a mixed wine plan. HelloFresh then sends you a delivery of 6 bottles every month. HelloFresh’s in-house sommelier sips every wine, to choose only the best for you. What’s more, HelloFresh helps you learn more about the wines you drink. Each wine is accompanied by a set of tasting notes that explains the flavors that make up this bottle, so you’ll understand more about what you like and why you like it. Tasting notes: "Sun-ripened fruit flavors of strawberry, blackberry, fig and black plum, culminating in a long, lingering finish." Why Winc Wine Club is great for beginners: A carefully-composed questionnaire helps Winc learn your wine preferences and send you the types of wines you’ll love. Winc is a California-based wine club that sends out 4 bottles of wines each month, selected from wineries around the world. To get started, you’ll answer 6 taste profile questions that cover your taste for things like citrus, salt, and berries. Then you’ll pick which mix of reds and whites you want to receive each month. Winc uses these replies to choose your monthly wines. After that, it all goes smoothly. You’ll get a free delivery every month, drink them, and let Winc know how much you liked them. Winc refines your wine choices further according to your feedback. You’ll also get tasting notes and recommendations for food pairings for each bottle. Tasting notes: "Ripe, floral flavors of honeysuckle, lychee, rose petal, and white peach." Why Naked Wines Wine Club is great for beginners: It lets you try little-known boutique wines at low risk. Naked Wines isn’t your standard wine club. It’s an exclusive group of ‘angel’ investors who each deposit $40 per month to a shared account for winemakers. Then you can draw on your deposit to order exclusive wines from talented, little-known winemakers around the world. At the moment, Naked Wines isn't accepting any more members, but you can put your name on the waiting list. Although you have to make your own wine choices, Naked Wines helps you out by sharing its highest rated wine list and offering a curated box of 6 bottles of red, white, or a mix for new members. Tasting notes: "A punchy, bold and juicy wine that's excellent with a rib-eye steak." Why California Wine Club is great for beginners: Learn more about each wine with a monthly brochure with information about the winery, tasting notes, and pairing tips. The California Wine Club offers 5 different wine club levels. The Premier Wine Club is ideal for beginners, but you can try different levels of clubs as your taste develops. With the Premier California Wine Club, you’ll get 2 or 4 different bottles from small California wineries—you can select your mix of reds and whites. You can also choose to get a delivery every month, every other month, or quarterly. A personal wine consultant helps you discover your taste preferences. The California Wine Club also offers the Signature Series Wine Club, for artisanal wines; the International Wine Club for wines around the world; the Pacific Northwest Wine Club for wines from Oregon and Washington regions; and the prestigious Aged Cabernet Series Wine Club for aged Napa Valley cabernets. Tasting notes: "Oodles of white pepper, blackberries, currants, leather and earth." 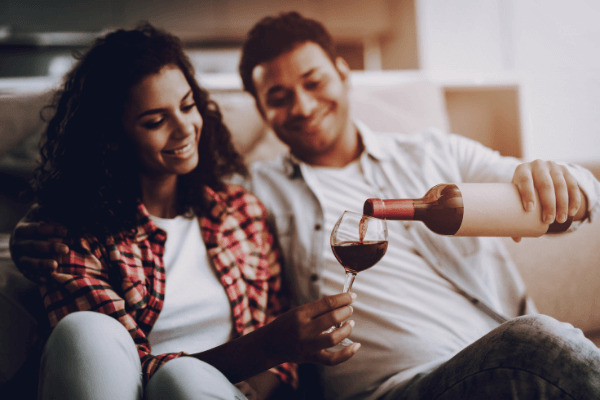 Any one of these great wine clubs will help beginners and even experienced wine drinkers to expand their tastes, learn more about wine selections, and discover new wineries and wines to delight in.